26.06.2016. Alexander Stadium, Birmingham, England. British Athletics Championships. 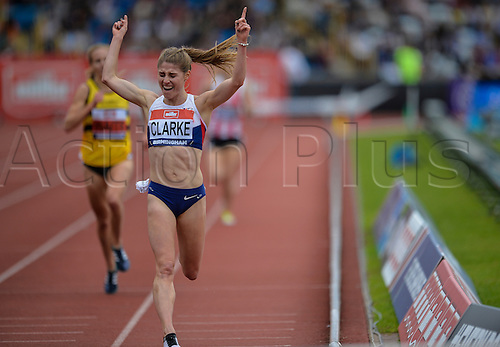 Rosie Clark celebrates winning the 3000m Steeple chase.